Gorenje Valjevo cold appliance factory celebrated today its 10th anniversary of successful operations in Serbia. Gorenje's factory in Valjevo, a greenfield investment, has been continuously increasing its manufacturing output for the last 10 years. The plant's output to date totals at over 5 million refrigerators sold in the markets of Serbia, Europe, and globally. Today, the factory has over 1,500 employees and works with more than 60 local suppliers. Gorenje brand has been present in Serbia for more than 65 years; since 2006, it has been present a domestic manufacturer in the country. 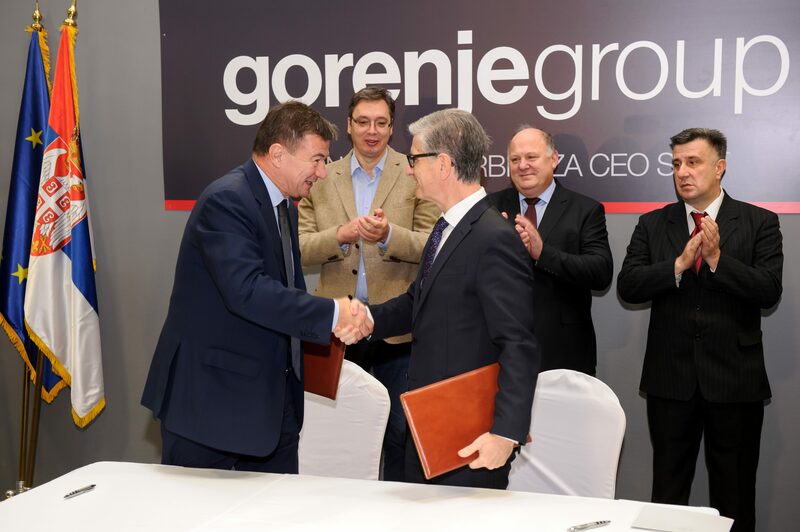 Gorenje Group operates three home appliance factories in Serbia, as well as a tool plant manufacturing tools for the automotive and white goods industry. To date, investments into these plants have amounted to EUR 136.8 million. The Group employs 2,500 people in Serbia, which indicates that this country is of strategic importance for both manufacturing and sale of appliances. "For Gorenje, Valjevo is the cold appliance centre in which the technological process is at a very high level. In the ten years, Gorenje Valjevo factory has developed and today, its assembly lines deliver appliances for all 90 markets of Gorenje operations, under all brands that we market. Within the Gorenje Group, Serbia is considered a domestic market and our development here is planned with great ambition," said Franjo Bobinac, Gorenje President and CEO. Around 800,000 appliances are dispatched from Valjevo to Serbia and across the world each year. Exporting 90% of its output with a total value of EUR 140 million, Gorenje's Valjevo plant is among the top Serbian exporters. The largest target markets for its exports include Germany, Slovenia, Russia, and the Czech Republic. Director of the Gorenje Valjevo plant Boris Pavčnik commented: "We are proud that Gorenje is among the biggest employers in Valjevo and in Serbia today. Currently, two projects are being developed, which are of remarkable importance for the factory's further development. We are planning to invest into expansion of finished product and semi-product capacities." 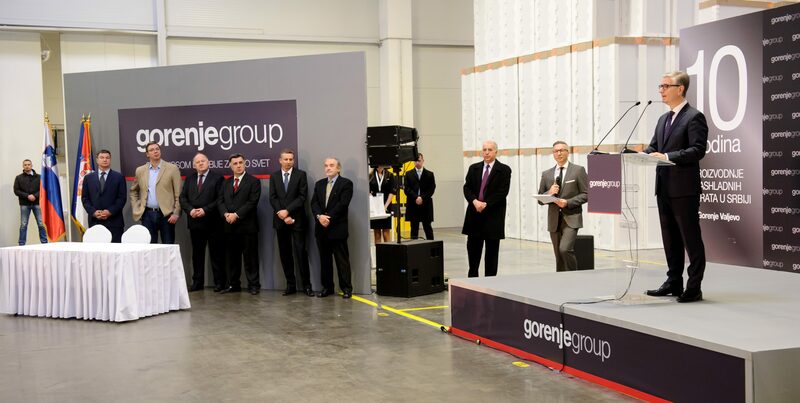 In the years ahead, Gorenje Group plans to further invest up to EUR 12 million and hire 300 employees on permanent employment contracts in Valjevo. This festive ceremony will include the signing of a memorandum between the Gorenje Group and the Government of the Republic of Serbia on a new investment project.